Applications are invited from eligible candidates for the post of Research Officer (Homoeopathy) (Group-A), Pay Band-3 Rs. 15,600-39,000 + Grade Pay Rs.5.400/-.+ Non-Practicing Allowance. The details about the number of posts, age, educational cl,.raliflcations, and other terms and conditions are available on the website of the Council. ccrhindia.org. The last date for receipt of applications is 17th'August 2015. Age:Not exceeding 40 years (Relaxable for Government Servants upto 5 years in accordance with the instructions or orders issued by the Central Government). Qualification:1.M.D in Homoeopathy from a recognized Statutory Board/Council/University included in the Second Schedule to Homoeopathy Central Council Act, 1973. 2. 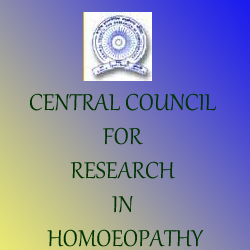 Enrollment on the Central Register of CCH or State Register of Homoeopathy. Duties:To undertake research in the field of Homoeopathy and assist the Council in the administration, planning and execution of research programmes and other activities of the Council. The applications in the prescribed format (Annex-l ) duly completed in all respects, should reach the l)director General, Central Council for Research in Homoeopathy, 61-65, Institutional Area, opposite D-Block, Janakpuri, New Delhi-l10058 by the prescribed closing date.